"WageWorks gets the job done"
What I like best is being able to get my commuter Charlie Card before every month and not have to worry about my commute into work but thats about it. I don't use it very often only once a month but even when I do it is sometimes annoying. What I dislike the most about WageWorks is the user interface and overall user experience when using this tool. The fact that most of the time it just logs you out in the middle of you trying to do something is very annoying. Multiple times I had issues logging in for no reason and simple just had to wait to next day. I think when considering a tool like WageWorks I'd look at other companies maybe with an easier workflow and ease of use and nicer user experience and interface because even as someone who is somewhat tech savvy but this tool is sometimes very hard to use. I like that I can get my Charlie Card before every month on time but that's about it otherwise it's somewhat annoying to use. "It's awful, I dread using it." I don't like the service at all. If I ran HR at my company we would go with another provider. Money I've contributed "expires" in that you have to use it during a certain time period. This doesn't make sense, I made the contribution, it's my money, I should be able to use it anytime I want. Bike Transit expenses are particularly difficult. I have to print a form, fill it out, attach receipts and then wait.. nothing gets updated online and if I want a status update I need to call and go through an automated phone tree. This is a benefit that I get through my work for free and I never use it because it's such a hassle. I've also had to call in personally on other things that should be view-able in the web portal.. why has my claim been "pending" for so long? Oh, call the number and come to find out it's never going to be processed because there weren't enough funds in the account. The system we used to use just gave you a debit card that had the money you'd contributed to the account, there was no paperwork or phone calls or any hassle. "General use of the WageWorks site for vision and dental expenses"
Some expenses I submitted, that are necessary, were decline for some reason, but it wasn't worth my time to fight it (the expense should have otherwise been obvious to me). From a user point-of-view (not a partner or paying customer), it would be *very* helpful if you better outline all approved expenses for vision and dental, if participants are in a high deductible health care program. For example, I wear contact lenses, which require the use of a solution. When I submitted the expense for the solution, it was denied without a good reason. However, it was not a high enough expense for me to spend the time to fight it, so I was out of pocket on that money. More detailed explanations of denied claims would then be very helpful. It would also be nice to receive email notifications when a claim has been updated, rather than me having to login each time to check. I can't otherwise comment on pricing/service, because I'm not the paying customer rep from our company. I'm just the employee using the tool, which, as noted above, has some room for improvement. I like that I am able to get my money back on the next paycheck that I get. My membership is expensive and I am only able to afford it because of wageWorks. I dislike the overall interface of the website. It seems outday=ted and there is no way to submit the receipt until after I submit and it tells me the receipt is missing. Search around. I am not a fan of the interface. Very easy to submit claims and all of the processing is done automatically. As an employee, I simply fill out the forms, submit my request and I get an email when it is finalized and ready to be approved. The user interface seems a little old school. They could use some work on the design. If you need a tool to help with employee benefits, look no further. This tool has everything I need. Before Wageworks, I had to manually send a check to the HQ of the building company which was in a different state. Now I don't have to worry about it as its all taken care of. The UI is also quite simple and intuitive. I don't have many dislikes as I only use it every so often to make sure all my benefits are aligned and being paid out. There is not much else to Wageworks as far as my utilization goes, it helps solve the problem of not understanding your benefits and provides visuals to help you contextualize it. It is a simple and intuitive tool to enable employees to see and mange their benefits. "Super useful but can be difficult to use"
The site is very secure and provides a lot of helpful information. The language/with regards to the process of ordering commuter cards is VERY confusing. I missed the deadline for a benefit month because the language on the site didn’t make clear to me that in order for the balance to be refilled on my commuter card, I’d have to “order a commuter card” for the next month, which made no sense. "Web interface can use some UI improvements"
I like that I can manage my account online and that I get notified when a claim status is updated. When I'm checking status of FSA claims or making updates, I often find myself getting lost in the interface. It's a bit complicated and looks very dated. You probably don't have a choice, since there aren't any competitors for it. What I like the best is that it makes it easier to track everything including what I have spend, how much I have left in my account and submit all the expenses online too. To be honest I dont have anything specific that I dislike about Wageworks. minimizing the worry about having cash to cover medical expenses, prescriptions etc. WageWorks is a complete scam. It is a means to take your money under the guise of a commuter tax-free option. Unless you monitor your payments and claims constantly you will almost certainly fall victim of their scheme. I have been putting in money for commuting on transit. What they fail to tell you is that unless you use the funds each month in entirety they will keep the remaining funds. Don't believe their line "the funds rollover", maybe but you won't be able to actually access it. "Convenient way to buy a metrocard"
I like that the money is pre-tax and that I can access the money using a debit card directly at the ticket machines. I don't love their website, I think it could be more streamlined and updated. Looks like it hasn't been updated in many years. Don't let the bad website deter you. "Nice for some specific uses"
I like that there are flows that navigate me through the various programs and help me make my requests. Sometimes I feel like there are too many clicks to do some simple tasks. While I never really feel lost it seems I take a long time to do simple things like submit a claim. I don't know if this just how my company has integrated with the WageWorks or if it's the system itself, though. It was easy to adjust the amount of money I put on my transportation debit card each month!! The platform seemed a little out-dated and not as smooth to use as I would've liked, but it didn't really create any issues. You can call them to talk through which option is best for your transportation situation! Make sure you remember to adjust the amount of money re-loaded each month if you don't want to be spending too much. "Nice HSA and Commute benefits provider"
Quite a lot of emails are being sent out every month on promotional basis. "Ease to use, Adds Value"
Its very easy to use and the navigation is very intuitive. Nothing! :) Didn't have an issues and was please all around with the solution. "Simple way to save money on commuting expenses"
It's like using a debit card to pay for parking. Simple to set up and very convenient. Nothing so far but I haven't explored all of the product's features. "An adequate software in a pretty dismal pool of competitors"
The UI was ok by the standards of web experiences in general, but above the crowd in the specific realm of benefits systems. The settings and information presented were occasionally confusing, getting phone support was tough, and the phone agents generally were low-level and not able to help. "Worst service.Not at all user-friendly"
"dont use wageworls for flexible spending account (cant comment on other products)"
The fact that I can do everything online. I often get request for receipts for the same service providers. I should not have to provide a receipt every time when I always use the same dentist, for example. The Flexible Spending card is key. It's easy to use at pharmacies and the site keeps track of my expenses and remaining balance. I really don't have a lot that I was unhappy with. gets confusing when clicking on changing the amount for subway card per month. WEbsite could be more clear. "Easy to use reimbursement site"
It's very easy to upload receipts and then get reimbursed for expenses. Sometimes it's difficult to keep track of all of the different areas for benefits. "Plan ahead and you'll be fine!" I like having the credit card available. It helps a lot. Not always consistent to when I need to upload a receipt. It allows me to file claims for expenses. The UI of the website and navigation of the application is a little confusing and complicated. * We monitor all WageWorks reviews to prevent fraudulent reviews and keep review quality high. We do not post reviews by company employees or direct competitors. Validated reviews require the user to submit a screenshot of the product containing their user ID, in order to verify a user is an actual user of the product. Hi there! 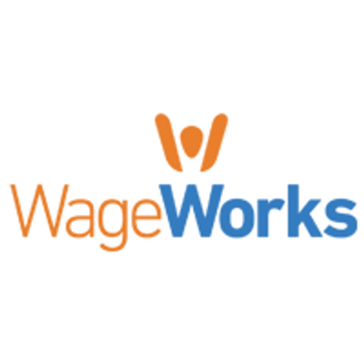 Are you looking to implement a solution like WageWorks?